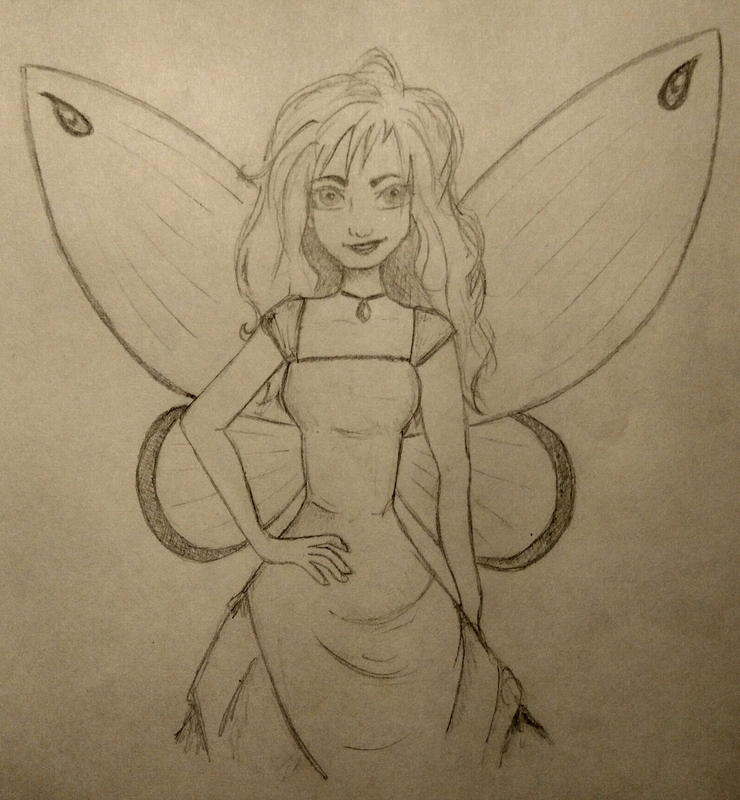 It is my niece’s birthday today and as she is a fan of drawing in pencil, I chose to sketch today’s fairy in pencil. I really like this cartoon-style for drawings of people. I like the simplicity of the wings in comparison to the detail of the face and hair. This was drawn using a HB pencil.